Breathalyzers on cars can help to save lives and avert major accidents. Breathalyzers elsewhere...well, it's a nice idea, at least. Thanks for looking out for us, but buzzed biking is the bomb. 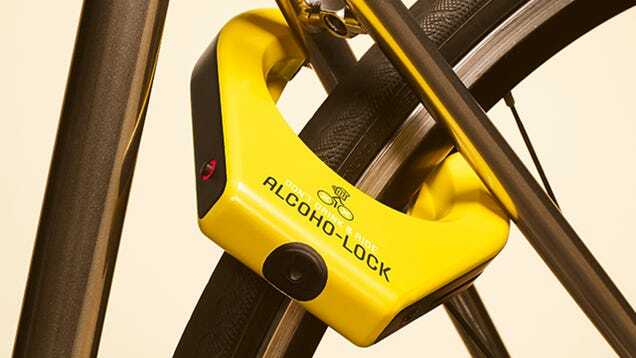 According to Gizmodo, a new device called the Alcoho-Lock is a Breathalyzer for your bike. While you might consider biking under the influence to be significantly safer than operating a motor vehicle, it bears remembering that those multiple martinis (or margs, or Miller High Lifes) are still impairing your judgement. Maybe that means you're swerving, maybe that means you're not watching for potholes, maybe that means you're suddenly brave enough to run a red light...but all of this alcoholically-adjusted attitude can be a liability. Of course, in some areas where bike lanes are a safe option, you are exponentially more likely to have a ride uninterrupted by your boozed-up brain. But if you're forced to ride on regular streets, or back roads, or midtown Manhattan (where bike lanes are merely a spare sidewalk), or anywhere that is not expressly to be used by bikes given a wide berth, it might be a good idea to watch how much sauce you've tossed back before boarding your bike. However, the time-tested titillation of drinking and riding can be hard to surmount. The Alcoho-Lock just wants to help. It's completely optional (no cops have forced one on any B.U.I. driver yet.) Also, it's not the terminus of your transit if you DO happen to blow over the limit. 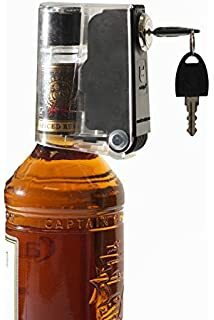 At that point, the Alcoho-Lock simply sends a message to your friend/spouse/lover/emergency contact/drinking buddy's phone, and also gives them access to unlock it for you, should they so choose. Soooo it's not really prohibitive to your pub-ride at all, if your friends let friends bike drunk. Also, it costs $250. Perhaps this is just another of the good intentions that will pave the road to hell. Just try to remain upright and semi-sober on your ride there, if you do take that path. Perhaps THIS lock would have been more effective. But not really, if you're biking to a bar.